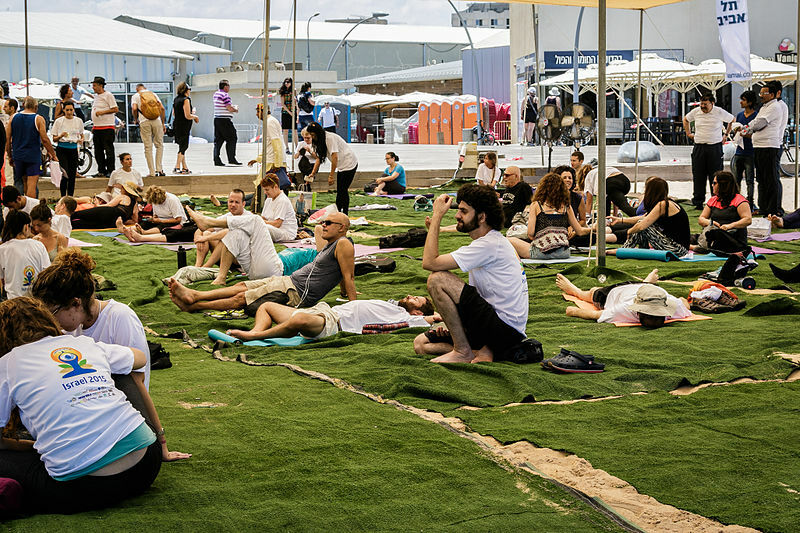 Tel Aviv, Florentin: In an effort to prove once and for all to the rest of the nation that Tel Aviv is NOT a den of frivolous weirdos, the city has decided to wage a debate between yoga enthusiasts and pilates nuts. And since it involves Israel, this debate has captured the attention of people who don’t live in Israel but still have a lot to say about Israel anyway. For example, the World Council of Pilates is demanding fairer rights for Pilatians in Israel. Council Chairperson Helen Hartuchus explained. Meanwhile born-again Yoga students are protesting too…. against other forms of yoga! Hatha Yoga, the traditional and original form of Yoga, claims to be the more spiritual form of practice. It ‘claims‘ to be the true way to connect with our internal energies and the Universe as a whole. Yet some people out there don’t practice Hatha and now feel they are being discriminated against. The Knesset is due to debate whether it is safe for people to carry unlicensed yoga mats for fear of potential conflicts between rival groups of yoganauts.